Just uploaded this short promo film to my Youtube channel. A quick look at the paints and palette I used for my current collection of abstracts and landscapes in the ‘Pink and Green’ series. Giclee print on high quality fine art paper, cream mount and back board. • Signed and numbered on the back. In the meantime please visit and follow my Etsy shop to keep up to date! Here’s a new time lapse film I recently added to my Youtube channel, a look at the techniques and processes I use when creating my painting ‘Abstract Pink and Green 4’. Here is a brief glimpse into how I’m going about creating my latest collection of abstracts, it’s a fairly drawn out process with different paints being added in stages to enable drying between each layer. Firstly a light grey acrylic wash is applied to the primed canvases, after drying, spray paint is applied to roughly map out the composition and to get a feel for colour and tones to come. Then once they have dried the ‘proper’ painting is done with oils, to embellish and enhance the original spray paint. Sometimes the oils take over and cover the entire canvas, but I’m mostly looking for areas where the spray and acrylic will peek through to add depth and contrast. Lots more new works are on their way now that I’ve moved into a new studio and things are settling in well! Just a quick post to let you know I now have an Etsy shop for my abstract paintings you can view it in the link above. I hope you have a happy Easter and the sun is shining wherever you are! The results are pretty good I think, I’m happy for the most part with the tones and values. It marks an interesting new chapter in my art career and should help me become a better painter in the long run. Time will tell! Here’s a new video for my Youtube channel. A remake of my 2014 landscape painting ‘The Harbour, Cornwall’ that was recently commissioned. Here’s a quick look at some new works for this week. 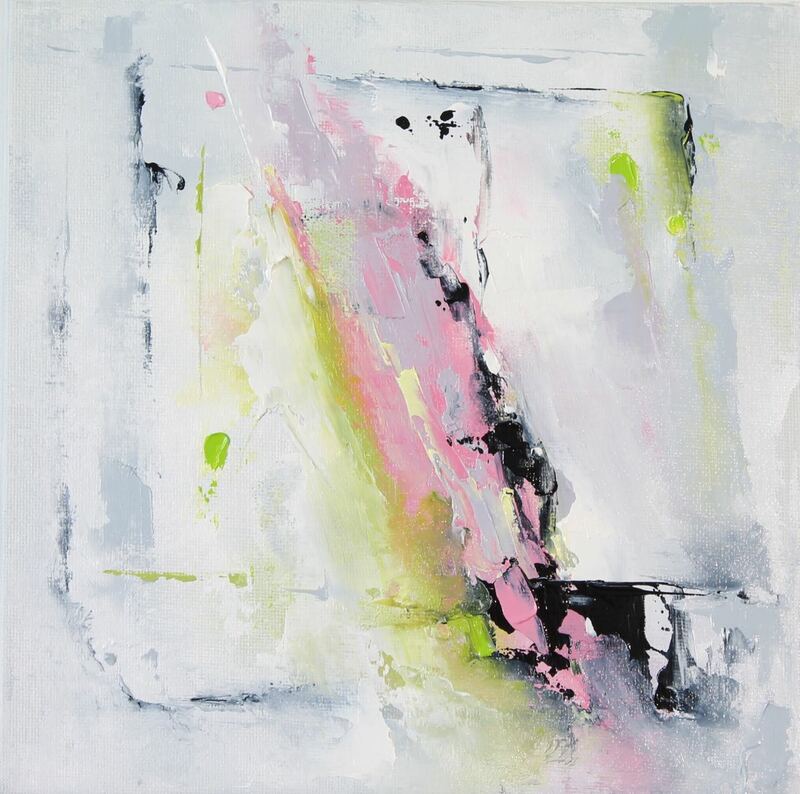 A few small abstract studies, limited palettes of green and pink. Brings back memories of my childhood trips to Ireland and drinking pink lemonade for the first time! Latest in the ‘Metropolis’ series is this painting, as yet unnamed semi abstract cityscape. • 90x60cm oil, acrylic & sharpie on canvas. Watch the video if you’d like to see the time lapsed process of how it all came together. I actually thought this abstract painting was destined for the scrap heap. You’ll see from the video that it was going ok, but at the end I just thought that it wasn’t up to scratch. The values were all wrong and it basically was just bugging me…So I spent another session on it and think I just about turned it around in the end. Abstract painting saved…just!